One of the most taxing of all the unintended consequences prompted by the rise of the digital economy has been the question of taxing the large, multinational firms that dominate the sector. But the Organisation for Economic Development and Cooperation (OECD) has high hopes of reaching an international consensus by the end of next year. Although much of the focus of these planned tax reforms has been on how they will affect global tech giants such as Amazon, Facebook and Google, the change will potentially change the way in which all large, multilateral businesses are taxed by the world’s largest economies. Speaking at last month’s World Economic Forum Annual Meeting in Davos, José Ángel Gurría, Secretary-General of the OECD, outlined some of the challenges and why he is optimistic the international community will overcome them. Jose Angel Gurria, Secretary-General of the Organisation for Economic Co-operation and Development (OECD) spoke at last month's Davos about the need for international digital tax infrastructure. Last year, Google paid $64 million in taxes to the UK, on earnings of $262 million. Amazon paid $6 million to the UK in 2017 and $9.6 million in 2016. Starbucks paid $5.9 million in UK tax on 2017 profits of $213 million. But in 2012, the coffee giant was accused of ‘tax avoidance’ after it emerged the chain had paid just $11.1 million of corporation tax in the UK over a 14-year period. The plans being put forward by the OECD will harmonize tax rules across its 34 member countries and create a consistent framework for taxing organizations with complex, cross-border operations. The growth of the digital economy has created business models that are beyond the scope of swathes of tax legislation. That’s partly because this new economy is built on a range of intangible assets such as data – including personal data. But there is also the issue of large organizations’ operational structures. In short, changing their reporting and accounting structures in accordance with the most favourable tax profile they can adopt. This does not always reflect the relationship between where revenues were generated and where the subsequent earnings are taxed. Different tax rates between countries are part of the challenge, but fundamentally this is a question of defining what amounts to taxable income and, just as importantly, where. “You need all the governments of the world to agree on what are the fundamentals, what are the definitions, what is the common treatment that has to be addressed to the different companies in this increasingly digitalized world,” Gurría explains. Where there is discord, can there be harmony? In 2018, plans to implement a so-called digital tax in the European Union (EU) faced opposition from some member states. Ireland has been particularly successful at attracting inward investment from large tech companies, including Apple, Facebook and Google. It is one of the EU Member States to voice concern over the harmonization plan and indicate their plan to block its implementation. In January, the European Commission presented a communication on how to move from unanimity voting to Qualified Majority Voting in EU taxation policy. Under the ‘double majority’ rule, a qualified majority is reached if both 55% of Member States vote in favour and the proposal is supported by Member States representing at least 65% of the EU population. According to the Commission, decisions can still be stopped by a ‘blocking minority’, but this blocking minority must be formed by at least four Member States representing more than 35% of the EU population. However, getting consent to deviate from unanimous voting will require the unanimous consent of all member states. Something that is unlikely to happen, especially as Ireland has already hinted it will use its veto should the need arise. 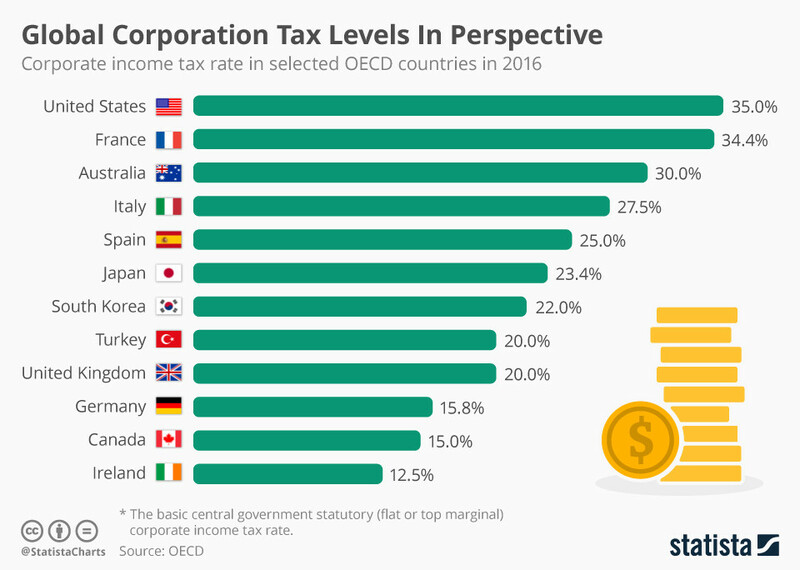 The OECD has said that consultation is better than coercion where tax harmonization is concerned and is clearly keen not to get dragged into a series of ever-worsening situations. Most of the potential targets of tougher taxes for the digital age are large American businesses, many of whom have been variously criticized over the amounts of tax paid in foreign jurisdictions. Whether the US will interpret such moves as the opening shots in a US vs EU trade war cannot be predicted. But this is one potential outcome according to some concerned observers. 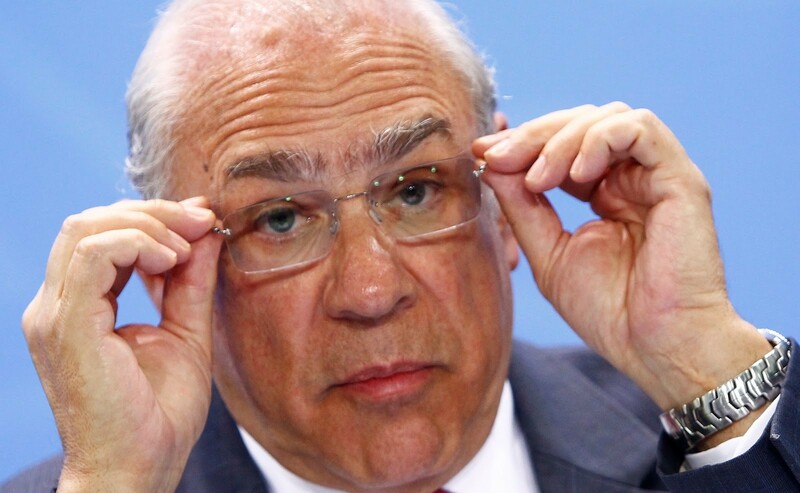 According to Gurría, one of the biggest challenges is simply that this is new territory for tax authorities. “There isn’t (one) single business model and the problem is that the traditional solutions (are) not applicable because there are no other companies like Facebook, there are no other companies like Google or Amazon. They stand on their own.